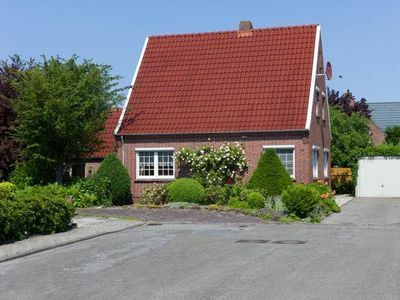 Comfortable and maritime-themed 1-room-apartment (30m² max 2 persons + 1 baby in a cot), at ground level on the ground floor of the main house. Non smoking. 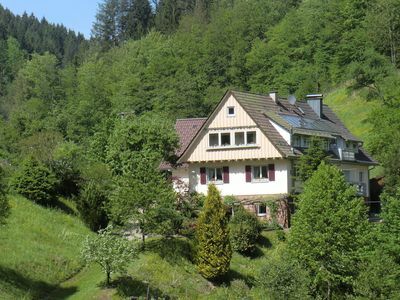 The apartment is equipped with a kitchen (2 plate stove, kettle, toaster, refrigerator, dish towels, dining area, Minnibackofen, microwave with grill), satellite TV, bedroom with double bed and wardrobe. Bathroom with shower / WC. 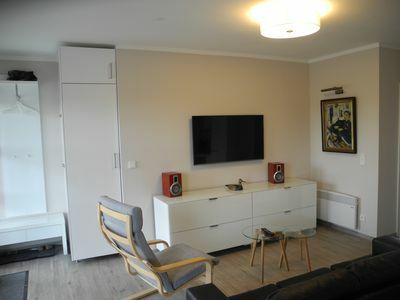 For all apartments in the main building of additional common area with children's play area, seating area, CD radio. In total tour price: final cleaning, 1 parking space, water, electricity. Baby cot, high chair (pre-book). Children Extras: 1 cot, highchair, crockery and cutlery, various toys (blocks, board games, badminton). Handcart be rented (charges apply). Extra costs: local visitor's tax. 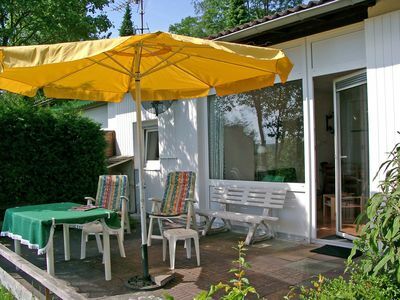 Heating according to consumption (0.31 EUR / kWh) Service: on request Towel EUR 2.50 each hired. Pets: allowed on request (fee). 20 EUR once / animal. 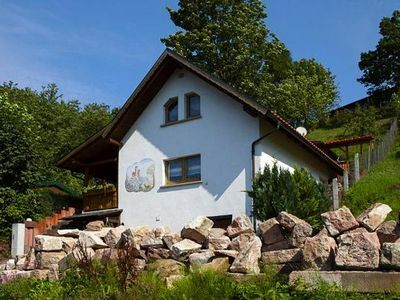 General Property Information: Ferienhof comfortably furnished apartments and cottages fireplace ideal for holidays with children and holiday with the extended family in Rerik. Even seniors or singles with children find fast connection. Localization: In Rerik. The former fishing village is located between the Baltic and Salzhaff, a small Baltic bay opposite the Baltic Wustrow Peninsula. The nearby resorts of Kühlungsborn and Warnemünde and the Hanseatic cities of Rostock and Wismar are varied attractions. Only 500m to the bathing beach. Baltic Sea beach with pier (170 meters long), promenade, playground right on the beach and marina 400 meters. Wildly romantic cliff and the natural beach alternate in Rerik just on how rushing Baltic surf and calm water in the lagoon. Separate sections of the beach for nudists, for Pet separate dog beaches. 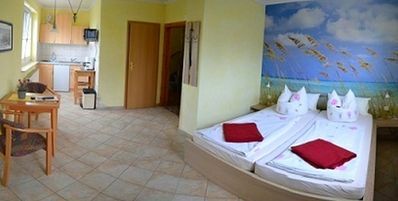 Leisure at the resort: water sports center, surfing, sailing, boat and bicycle rental 500m. Shipping 400m. Supermarket, bakery and bank 200m. Wide gastronomy and playground 400m. Töpferhof, Art Studio, beach access for boats, surfers and sailors 500m. Bus station 200m. Horseback and Töpferhof 2km. At home: 1. 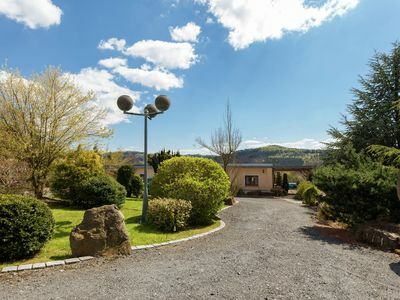 100 sqm of landscaped garden plot. 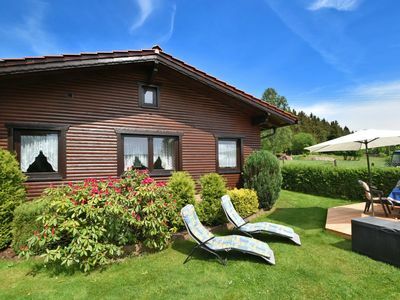 Fruit and sunbathing lawn with Gartensitz- and barbeques. Covered seating area with barbecue. Laundry space, shed for bicycles, strollers, carts u.ä.Kinder extras: In the large enclosed garden plenty of room for children, with hedges completely umfriedetes enclosure. Babysitting facilities free of charge: baby bath, toilet seat or potty, baby bed, high chair, cutlery, baby food warmer. Toys for indoors and outdoors: sliding cars, tricycles, rocker, badminton and play area in the guest hall. For a fee be rented: carts. A popular playground 400m right on the beach. 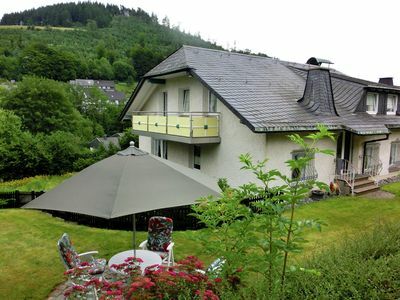 General information of the accommodation: 3 apartments in the main house and 2 cottages fireplace in the garden. 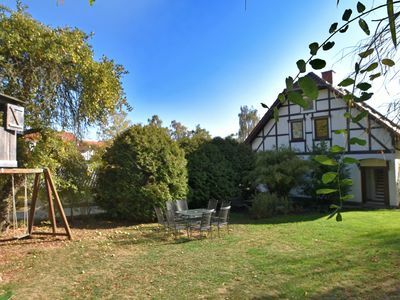 A total of 22 guests can stay at the Ferienhof their holiday. All units are Non smoking accommodations. Comfortable smoking area in the garden. 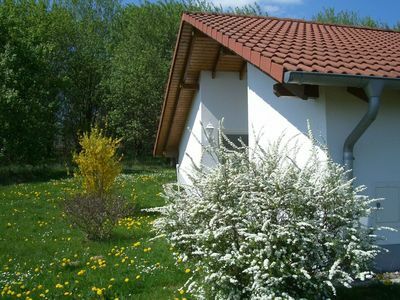 Apartments: 1- and 2-room apartments (max 2 or 4 people) with a kitchenette, dining table, bathroom with shower / wc. Partially single storey ground floor. A cozy guest and entrance hall with sitting area and dining table and children's play area invites to eat together, sit together and play. 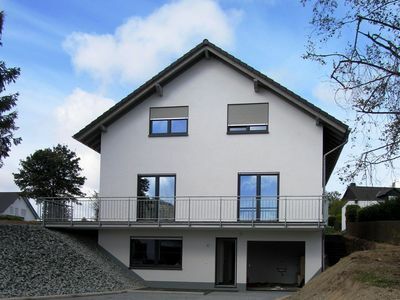 Also kompett as XXL 5- room Villa with 4 bedrooms (max 8 pers.) Bookable. 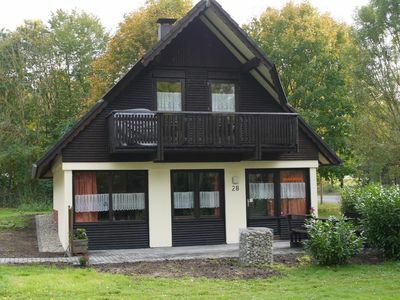 Fireplace Cottages: cozy and modern 3 room cottages (58m² max 7 people) with kitchenette and bathroom with shower / WC. In total cruise price includes: cleaning, linen. Energy water. 1 space per accommodation. Baby cot and high chair. Extra costs: local visitor's tax. Heating according to consumption (0.31 EUR / kWh) Service: Children's Tools, toys and games be rented free of charge. Mietbar on request (fee): towels, carts. Station Transfer from Neubukow Bahnhof after consultation. Bike racks available. Pets: Pets Fee and after registration only in the apartments (property is fenced); only small dogs, no attack dogs! Dog beach 600m from the house.